Megan McKenna has no bad blood with her ex-boyfriend Pete Wicks and says they both just want one another to “be happy”. The 26-year-old beauty dated the 30-year-old heavily-tattooed hunk on-and-off between 2016 and 2017, and the pair come face-to-face on a forthcoming episode of ‘Celebs Go Dating’. 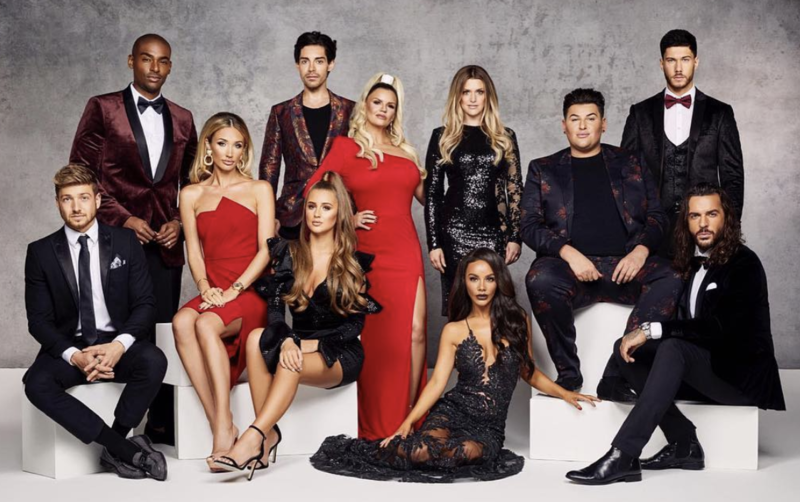 Although the former ‘The Only Way Is Essex’ star has no bad blood with her ex-boyfriend, she doesn’t see herself rekindling her romance with him or any of her fellow celebrity daters on the E4 show. Speaking about the family-like bond she shares with the stars on the new series, including Made in Chelsea’s Sam Thompson and ‘Love Island’ star Jack Fowler, she said: “We actually hang out quite a lot, all of us. “We’re all like brothers and sisters, we love to have a drink, and we love to have a party. Speaking about where she is at with Pete, Megan – who split from former ‘Love Island’ star Mike Thalassitis last year after dating for seven months – added to Metro.co.uk: “I just think we’ve both grown up, we’re over it. “There’s nothing more to it. We both want each other to be happy … I don’t hate Pete, I hope he doesn’t hate me. Meghan recently admitted she initially thought “it was a joke” when she heard that Pete would appear alongside her on the show, but said they were “sweet”. “I mean, I never thought in a million years I’d be back doing a show with Pete. I thought it was a joke!